It seems like a lifetime ago that my main source of income was taking care of children. For six years, I watched kids from aged 11 months up to 11 years and made really good money doing it. It was a pretty easy job most of the time (except for that summer where I watched 3 young boys — boys really are harder than girls). I had started out working at a local day camp. I had 11 three year olds to care for with the help of two other counselors. Since the kids were so young, they were only in the program for a half day, but I still got paid for the full day. I would use the remaining time to work at Dunkin’ Donuts and hang out with my friends. It was the summertime, after all. Most of my babysitting experience was daytime work, not much of that Saturday night babysitting that I really hated. I really got to know the kids I watched, but I only really watched them for a couple years before moving on to the next stage in my life. My last babysitting job was when I came home from college. I had graduated early, but still had a few credits left to complete my degree, so I took my last two classes and babysat for two girls, aged 8 and 11. At that age, it’s really all about play dates and dance class, so there was a lot of chauffeuring as part of the gig. The girls were great, and I have kept in touch with them via Facebook ever since. Recently, the older one had a status update that said she had just turned 17. When I read this, I literally almost fell out of my chair. Where had the last six years go? How did she get so old? She’s too young to drive, too young to go to college. These are things I can’t handle. A few years ago, I ran into one of my former three year old campers. She was 11 when I saw her. It just doesn’t register in my brain that these kids have grown up. It’s a strange thing to imagine people that are younger than you aging as well. I will always remember the kids I watched at the age that I watched them. I will always remember Mia looking like Dora the Explorer. I will always remember Jocelyn doing gymnastics in the living room. I will always remember Savannah and her love for writing. I will always remember Dakota picking on Madison. This is how these kids will always be to me, in my memory. The title of this post is inspired by a great song from My Chemical Romance. Check it out. There are lots of statistics out nowadays that tell you what industries will be hiring over the next five to ten years. These, of course, are all predictions, and clearly the numbers don’t go beyond ten years because no one really knows what industries will even exist twenty years from now. Well, I for one don’t want to be a victim of the new economy. That’s why I am already thinking about what I would do as a career if I couldn’t do what I am doing now. I am beginning to brainstorm what avenues I would take and what I need to be doing over the next few years to prepare for that back up career. The thing with my work is that it can be applied to very many industries. As a communications professional, I have worked solely with non-profits for nearly six years and the array of organizations have varied widely. All organizations need communications, but in the non-profit world, it’s not always easy to make a case for funding communications positions, since some employers either don’t understand the importance of the industry, or, more likely, don’t see the connection between the work and the dollars brought in. I know this particular skill set is valuable, and that I could even make the bridge to the corporate world with it — that’s definitely not something I would rule out. But you never know what the future will bring. You never know when the next recession will be, and what jobs will be affected. So what else would I do if I couldn’t do what I am doing now? Perhaps I’d get into the programs or fundraising aspects of non-profit work. Maybe I’d become a lobbyist. Maybe I’d beef up my graphic design skills and focus in on that. Maybe I’ll dive real deep into web work and even learn some programming. Maybe I’ll do something completely different like become a professor. Guide to Career Education is a valuable source of information if you’re looking for institutions that offer a variety of degree courses for possible career options in the future. Right now, I’m not sure which direction I will go down the road. It is possible that I will reach the peak of my current career track and decide to do something completely different. I’m not really sure. I feel that over the next few years, I need to at least decide on what I’m going to do to gain more diverse skills. Perhaps becoming the Renaissance woman will play in my favor. 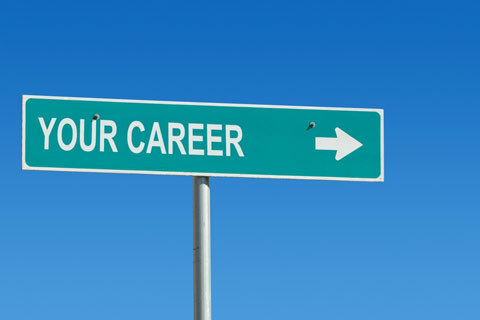 What would you do if you had to switch careers? What a year it’s been. I’ve been thinking a lot about where I was this time last year, and about all the good things 2010 brought me. For one thing, I started this blog, and I’ve truly enjoyed sharing my experiences with all of you. I’ve gotten to know bloggers and fans from all over the world, and I’ve become increasingly dedicated to this creative outlet. But even before I started blogging this past April, I was in a serious mode of change. I started a new job on March 1, and my brother got married on March 14. Looking forward into 2011, I will become an aunt for the first time. Not everything in my life is perfect, but the positives have been big ones. I wonder what else 2011 has in store for me. So without further ado, I wanted to give you some highlights from 2010 as seen through this blog. 1. Breaking up is Hard to Do – My first popular post. This post was about my ex-boyfriend, and even though we broke up more than 3 years ago, this post drew a lot of attention. Of course, at the time, my blog was new, so readers were likely people who knew me who thought I broke up with my current boyfriend. People love drama! If you didn’t get to read this and you are going through or considering a break up, this post may be cathartic for you. 2. Woman’s Best Friend and I Don’t Mean Chocolate this Time – I introduced you all to my heart and soul in this post. My lovely labrador retriever. I never had a dog growing up, so getting a dog when I was 23 was a major growing experience. My dog has taught me how to enjoy to simple things in life and has taught me the meaning of unconditional love. You can expect more posts about him in 2011 as he surprises me everyday. 3. Becoming Domesticated – I talked about living on my own, one of the biggest challenges of growing up. I’ve lived on my own for almost 4 years now and I’m still getting it together. But the biggest change in my living arrangements in 2010 was when my boyfriend moved in with me this summer. I hope to bring more good news about our living situation in 2011, and I’m sure there will be some learning experiences to share along the way. 4. Divorcing Friends – I talked a lot about friends this past year, and I’m sure this will continue to be a hot topic for me as situations continue to change and consequently, relationships with friends. 5. Time Flies When you Love What You Do – I talked a lot about my career, something I am proud of. I love what I do and I’ve worked hard to continue to offer my skills to the world in support of the greater good. I have serious career goals, and I hope to inspire people with my experiences as I work to reach them. It may be a bumpy road with a few more set backs, but I am still determined to succeed. 6. From Player to Prude – I talked about my changing perspective on relationships. My 20s have looked very different than my teens did in this area and it’s interesting to see how my attitude has changed towards it. But I don’t want to forget how I once felt about things like this as one day I might have a daughter who needs a mother to relate to her as she sifts through her relationships. As a teenager, I always kept a notebook so that I would remember how I felt and what I went through when I was young, so that when I was a mother I’d be able to support my children and help them make the best decisions they can. Writing this blog has helped me to continue this process at another crossroads in my life that I think is important to remember. Another year closer to thirty, another year closer to trying to reach my goals, and adjusting when life throws me a curveball. Another year of realizing who I am, who I’m going to be, and what the world, and life, is really about.